Everyone is Irish on St. Patrick’s Day. But here in Boston, toasting the orange, white and green is our bread and butter. Whether you are seeking a historic and cultural exploration or a weekend of pub crawling revelry, here is how you can celebrate St. Paddy’s Day both in the Tower and around the city. St. 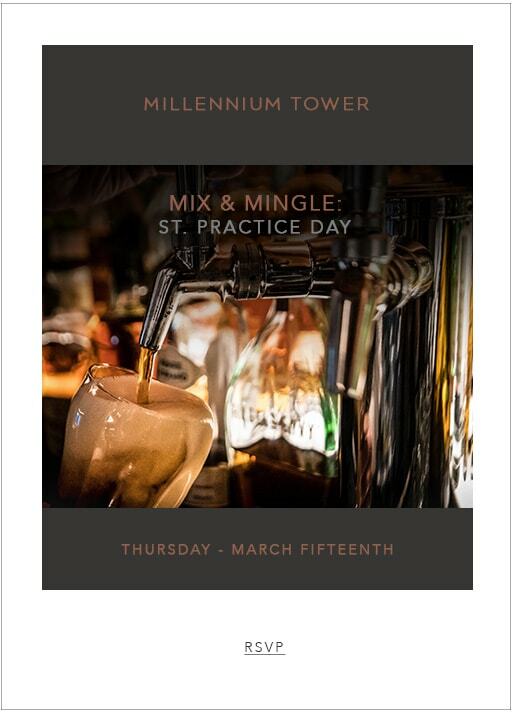 Practice Day at Millennium Tower is arguably the best way to prepare yourself (both mentally and physically) for Boston’s legendary weekend of Irish enchantment. 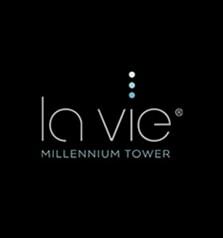 The celebrations will begin on Thursday, March 15 at the La Vie Mix & Mingle. Dress in green, grab a pint of Guinness, and sing along to some live Irish rock music in The Club. Intricate floats, bagpipes, and brass marching bands will take center stage at this year’s 116th annual St. Patrick’s Day Parade in South Boston. The parade begins at 1 p.m. on Sunday, March 18 at the Broadway Red Line T stop and ends in Andrew Square. Your best bet for viewing the parade is to secure a spot anywhere along Broadway. Just be sure to arrive early, and wear green! Those looking to fill their minds with knowledge instead of whiskey and beer can honor St. Paddy with a walking tour along Boston’s Irish Heritage Trail. The three-mile tour will take you to more than 20 historic sites, highlighting local Irish-Americans who influenced Boston and American history. Guided tours leave from Boston Common Visitor Information Center or grab a map from the Visitors Center for a self-guided experience. You’re going to need some food with all those drinks. Family owned and operated since 1909, J.J. Foley’s on Kingston Street brings traditional Irish cuisine to the Downtown neighborhood. Order the fish and chips or the corned beef with Irish boiling bacon and wash it down with a Guinness or one of the many Irish ales and ciders on tap. For more ideas on celebrating St. Patrick’s Day in Boston, CLICK HERE.